Solid and strong and humming along – here’s Mageia 5! 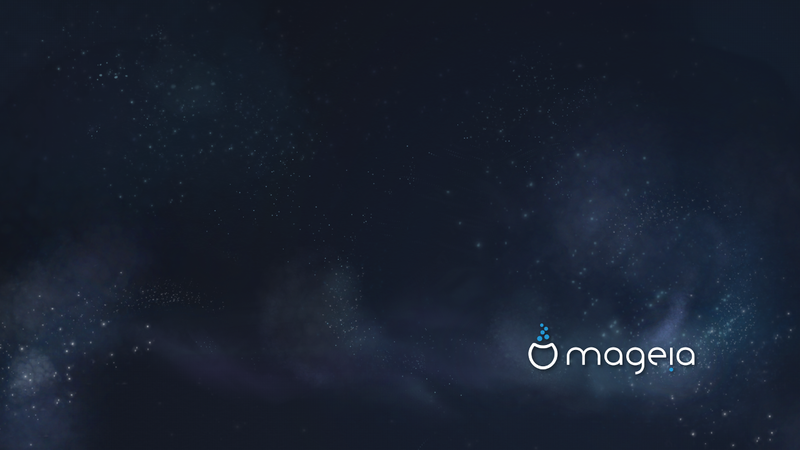 After more than one year of development, the Mageia community is very proud to finally deliver this long-awaited release, Mageia 5. This release announcement is a big sigh of relief, an “At last!” that comes straight from the heart of the weary – tired as one can be after long days of hard but rewarding work. And still, we chose to take our time to fix major issues and have a high quality release, without rushing it. Maybe our best release so far, taking into account the impressive work that was done on the installer, both to add new features and to get rid of old bugs. The main spotlight of Mageia 5 is the support of UEFI systems. If you are not familiar with the term, feel free to check our detailed article about it. In a few words, let’s say that most systems with recent hardware (3 years old or newer) are equipped with UEFI, so in order for our users to be able to install Mageia 5 easily on recent hardware, UEFI support was a must. Feel free to browse Mageia App DB’s comparison page (applications only and all updated packages) to see the differences between Mageia 4 and Mageia 5. All in all, Mageia 5 contains almost 2,000 applications and 25,000 packages, all available from the official repositories. Mageia is shaped for its users, and is therefore suitable in any environment: work, home, servers, leisure. Everything is supported directly by the community through the official repositories, out of the box. Mageia has always striven to offer a universal usage experience across a large set of desktop environments, integrated with some of the best control and administration tools available. As always for the artwork, we called for contributions from the community and we received high quality proposals. We chose the starry night painted by Robert Gormly, but you’ll also find many additional wallpapers and screensavers that we selected from the community contributions. This release would not have been possible without the support of our whole community, so this is a thank you from everyone to the sysadmins, the QA and security teams, the documentation team, the atelier team and the translators, the packagers, the bug triagers and the developers, and finally, everyone else for their feedback and support on forums, mailing lists, and IRC channels, as well as their bug reports and donations. Have fun with Mageia 5! 57 Responses to Solid and strong and humming along – here’s Mageia 5! Congratulations and thanks to the hard workers, to the Mageia community!!!! Really stable and great distro, I’ve been runing for almost 1 month now since RC. Give it a try, you won’t be disappointed. This great release is also a tribute to Mandriva in my eyes. Especialy in their golden days. Thanks for all the effort in getting this out!! I just installed it and I must say, that since I first began using Linux (Redhat 4 in the mid 90’s, then Mandrake, Mandriva), this was the easiest install ever… I still have some tweaking to do and some additional programs to install but I am up and running in basically the time it took to run the install program. No problems with wifi, audio, or video (2 monitors) install at all. Thanks again and keep up the great work!!! yep, so i am going to make the tree part donation, My test computer, very snazzy install, with many bells and whistles wend without a hitch, all my settings remained and all the packages updates, and top that, my system was functional all the way. I did have to trigger the update using the command line instructions, but that is a bug in my patience, not in the software. My main desktop actually offered the upgrade automatically today in the afternoon, so i did the full gui automatic update with the option to download everything checked, and i was using the system all night while it was updating like a champ, it is 5:22 in the morning, and i am up and running Mageia 5 on my main desktop, the only hiccup was the network card got renamed from eth0 to ens4 , somehow couldn’t reconnect, but a quick visit to the network settings fixed it, and as you can see, i have network 🙂 even my rotating background images are working properly. so 2 more donation coming in the pipe, as i get my paycheck 😉 well done team Mageia. well done. Congratulations, and thank you for the hard work. Best release ever, install was seemless. All hardware detected and activated. Thank you all! We provide Plasma 5, but in a relatively old version. We had to spot updating packages at a time to focus on making the distribution stable enough for the release, so Plasma 5 had to stay in version 5.1. At this old version is really lacking, we did not put it forward too much, but we will provide an update to Plasma 5.3 in the coming weeks. Mucho congrats to all! Job well done! Very well, I’m a Mageia 4 user and I’m waiting for intstall the new version. My donation to 1GYF2h69NrJ7Pp92bNPDEdLABbH1hR7rsA will arrive in the next months. For my opinion, Mageia 5 is best release ever! Not a Mageia user, but keep up the good work! It is packaged, just not used as the default. There are meta packages available to install it with called task-plasma5 or task-plasma5-minimal. It conflicts with standard KDE so will also remove many of the default packages when installed. There is a major update for plasma5 planned shortly, when we’ve recovered some strength, so it may be best to wait for that to hit the mirrors before using it on your daily driver. I appreciate what you guys are doing with a small team. Keep up the good work! Best Mageia release yet. Seamless install on Laptop and Desktop. Performed a fresh install yesterday on a SSD as MGA4 was non-UEFI. Did a custom partioning for /home was on /dev/sdb1, picked KDE and added on-line repo’s and after that it was smooth sailing. Only issue I have now is the akonadi_baloo_indexer and its helper programs. Memory and CPU usage looks ok to me but IO bandwidth is huge. It really makes my system feel sluggish. My PC has been running for over 24hrs now and akonadi_baloo_indexer is still very busy (/home is >1TB). I’ll wait a little bit longer but if things don’t improve I’ll kill this utility as I don’t really need it. Is there an easy way to do it for I didn’t find a menu item for it. Maybe I’ll run it in VirtualBox until the issues are fixed. I certainly don’t want to go back to using it as my primary OS. These “issues” … have you raised bugs for them, or mentioned them to anyone? Because unless you do nobody will be in a position to read your mind. Thanks that boot screen is not scrambled eggs after after install of display driver like in other distros and you fix this on install level. I had to interrupt my installing mageia 5. There were problems with grub 2 and the old bug with installing of czech language. Excellent! And everything works on my CedarView laptop! Wow! I have been happy with Mageia since version 3, and so with version 4. Mageia 5 first time ever I installed from USB stick. Worked fine. I’ve tried most of the famous distros and i can say that Mageia is the most stable, bug-free and easy to set up distro ever existed. The one i don’t like: just 1 year of life cycle. If you want to make a distro compared to the giants, you should support it for longer time. Mageia releases are supported for 18 months. Apart from LTS releases, that’s actually longer than most other distros (Fedora and non-LTS Ubuntu releases are only supported 12 months AFAIK). Great work guys. I have all that I need and it works. I have played with it a little and I’m impressed.